Bizzi Hands: Bizzy Bec's April Challenge is "Tic-Tac-Toe"
Bizzy Bec's April Challenge is "Tic-Tac-Toe"
The Challenge for the month of April is..
it's like playing Bingo-you choose the 3 squares that you wish to follow from the Tic-Tac-Toe Grid either going Across, Down or Diagonally in a Row. 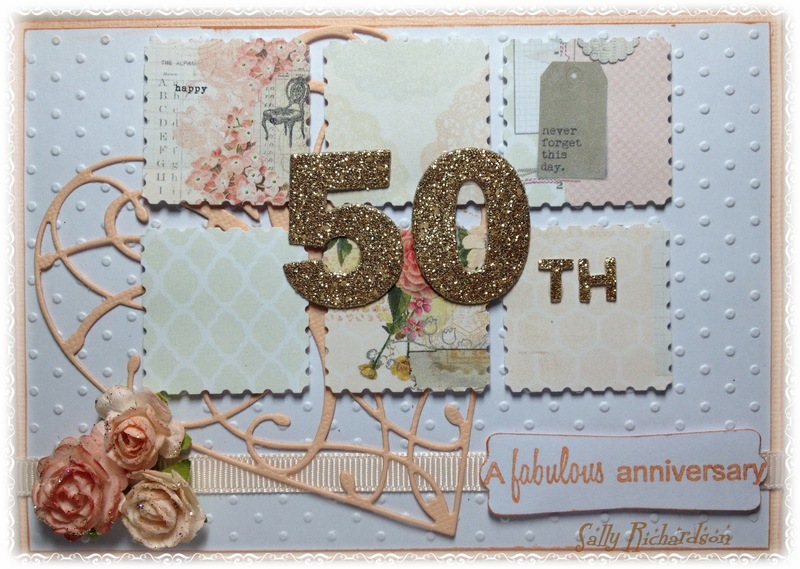 and I've used a Memory Box Die - La Rue Heart, flowers and ribbon from card kit. 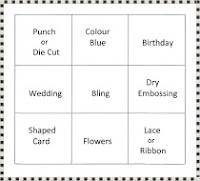 Now you may wonder why I've chosen to made a 50th Wedding Anniversary card - well in two weeks my parents will celebrate their golden anniversary and I thought - combine the challenge and their card and hey presto! A Golden 50th Anniversary is certainly a momentous occasion and deserves celebration! Well done to the winner of last month's challenge and I look forward to seeing what you make for this month's challenge.